There’s something inherently addictive about dungeon crawling games. 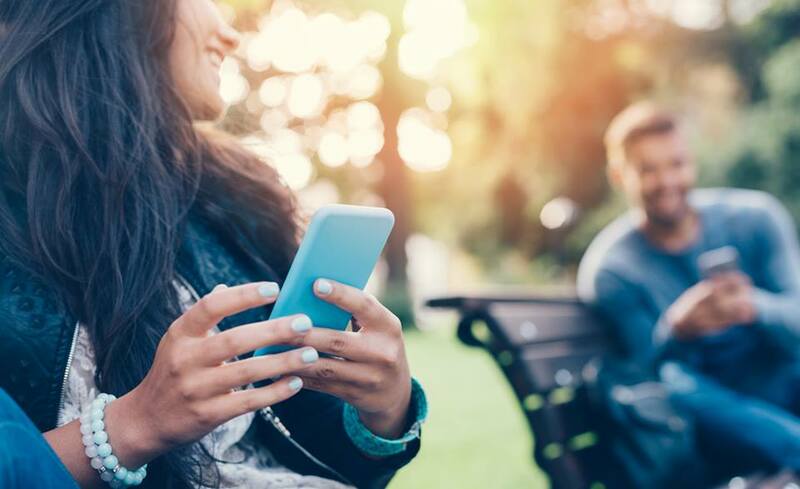 That feeling when you open a chest and find that impressive weapon that can instantly chop an enemy head… Well, there are even studies showing that looting games appeal to deep emotions within our brains, much like compulsive hoarding. 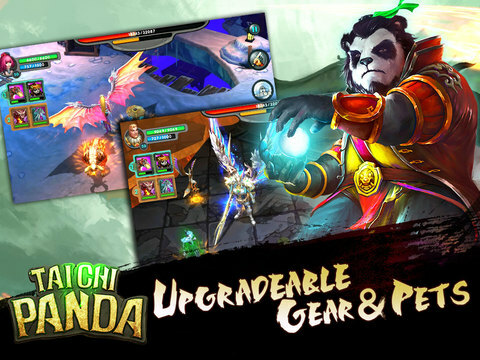 If you are a loot lover, Taichi Panda is probably right for you. 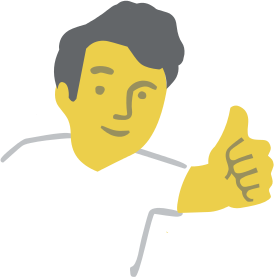 Controls and gameplay are straightforward, and not far from what you may have used in the past. A virtual D-pad lets you move around and do your things and a set of control buttons opposite let you attack, heal and do all the funny things you are expected to do in such a game. 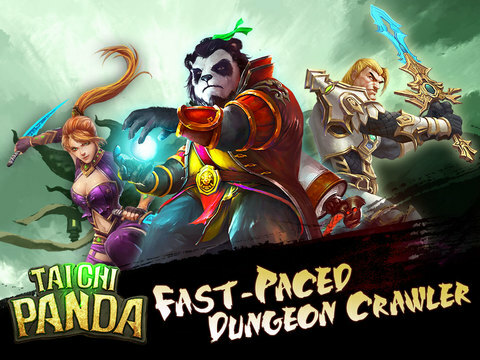 You can pick from 3 possible playable characters (a martial artist panda, a rogueish treasure hunter, a knight) each having its own characteristics. Suit your style. 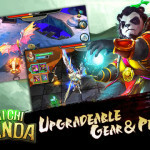 The bread and butter of Taichi Panda is levelling up, upgrading your gear to the max and finding new and nasty stuff piled among the corpses of the enemies you slain. A few non-typical dungeon-crawlerish parts of the game are that you’ll face boss battles (in this it feels closer to K.O.T.O.R.) 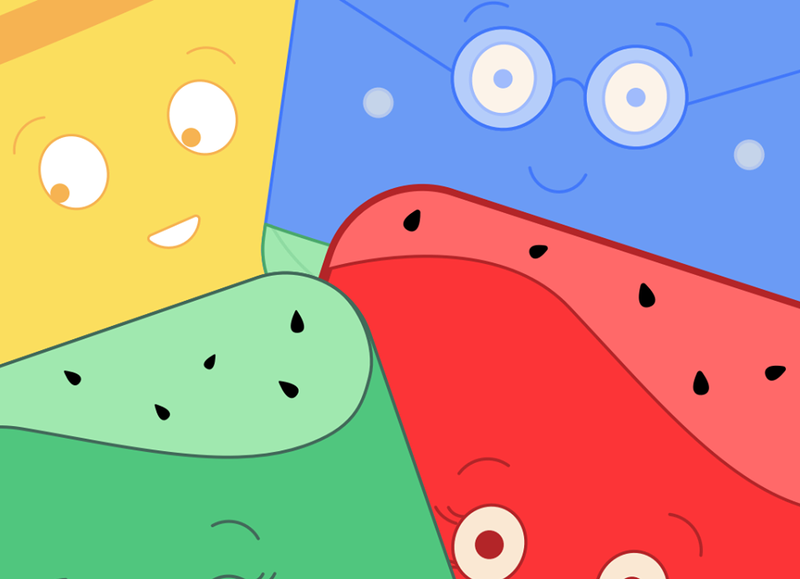 from time to time, so you better gear up decently, and also it is divided in chapters & sections (again, much like K.O.T.O.R). 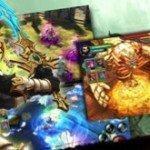 Finally, there are PvP (player vs player) arenas to fight against (or with, in team play) your friends, in real time multiplayer. 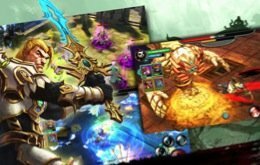 In addition to this, you can ‘plunder’ other players to steal items from them, akin to many MMORPGs available on the web. This is quite a nice addition, and a way to keep players on guard. Don’t let your hard-earned items go to waste and fight for them! 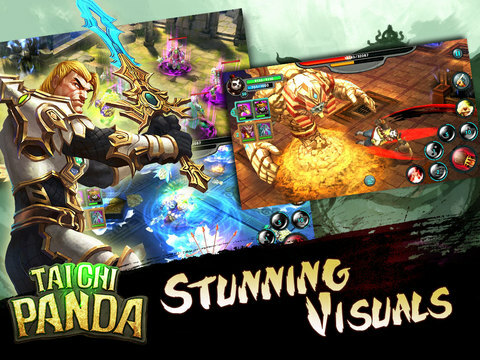 The #1 iOS game in China with over 10 million players, now available in English! 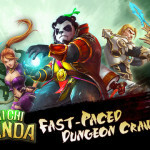 Taichi Panda is a fast-paced Kungfu-themed dungeon crawler. 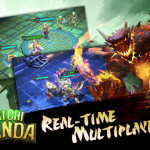 Grow your character and restore the cosmic balance in an exciting free-to-play online adventure. 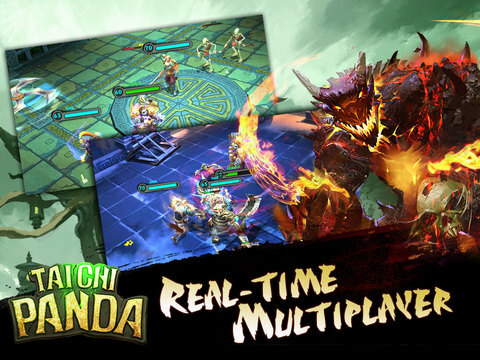 Fight through hordes of enemies with a fast-paced combat system. 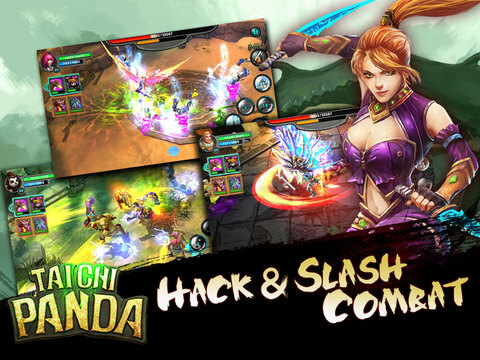 Use a mixture of speed, strength and skill, combining aerial attacks and combo moves to devastate the enemy. 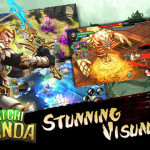 Explore twisting labyrinths, avoid precarious traps, and defeat powerful bosses!